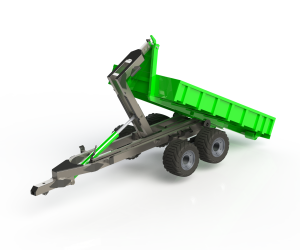 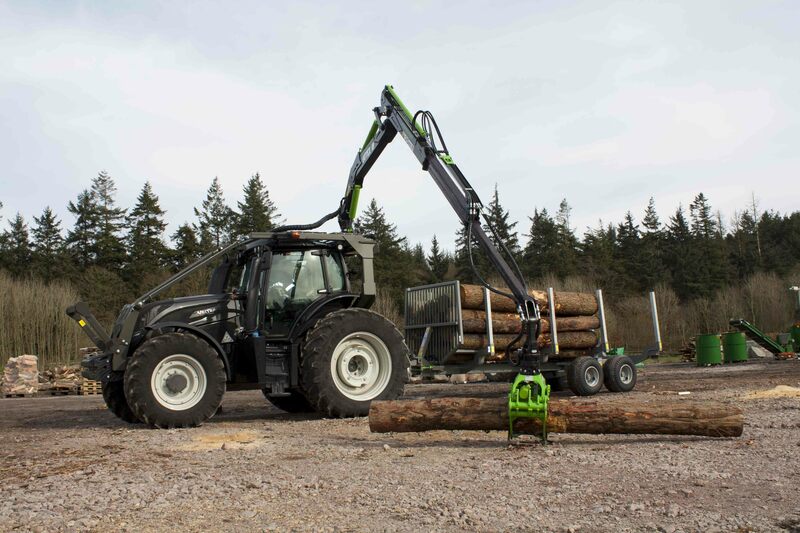 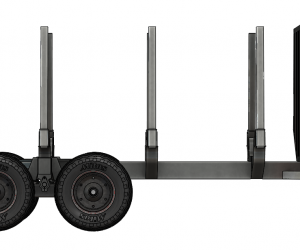 The 580 Forestry Timber Loader was developed to satisfy the needs of our modern industry. 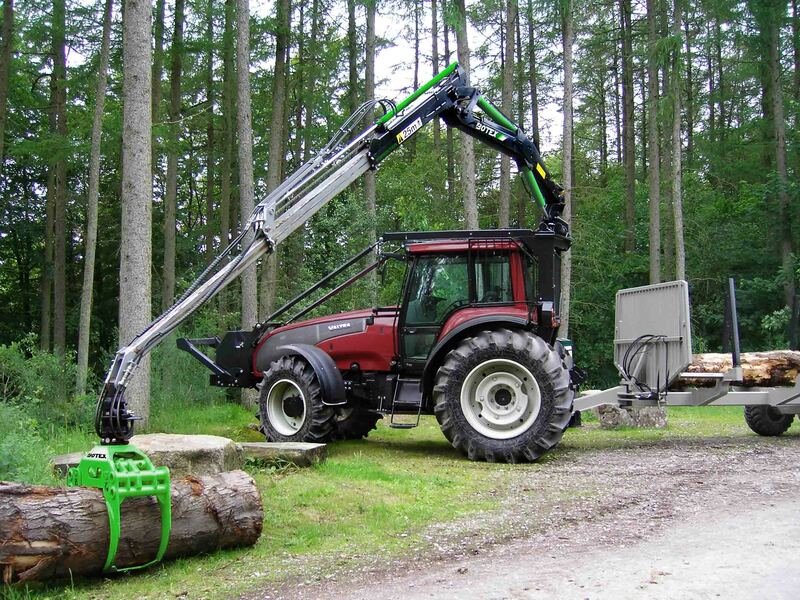 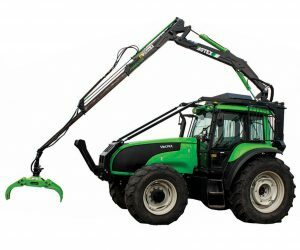 Usually roof mounted on a Valtra, these units are ideal for challenging sites or when used to feed a chipper. 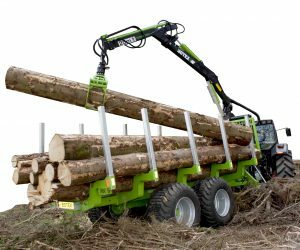 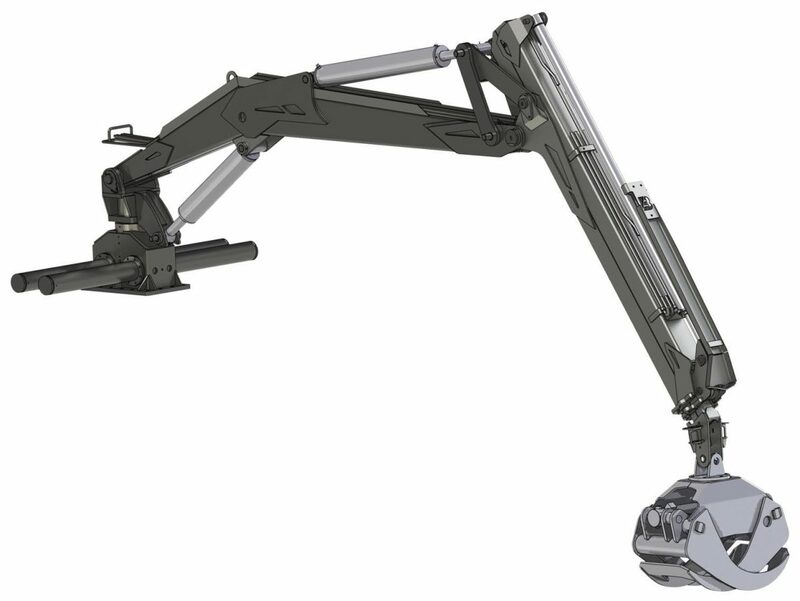 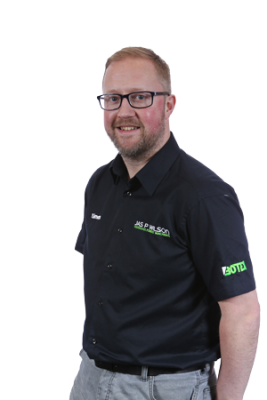 This heavy duty machine can reach up to 8 metres with its telescopic double extension whilst also retaining excellent lift capability.